Xiaomi's bezel-less flagship smartphone Mi Mix 2 has caught the eye of just about everyone. "Xiaomi Mi Mix 2 review: Astounding, audacious, accessible," read Android Central's headline. Mi Mix 2 was Xiaomi's second generation of its trend-setting bezel-less smartphone that came out in 2016. It was a complete departure from anything Xiaomi or the smartphone industry had ever done. 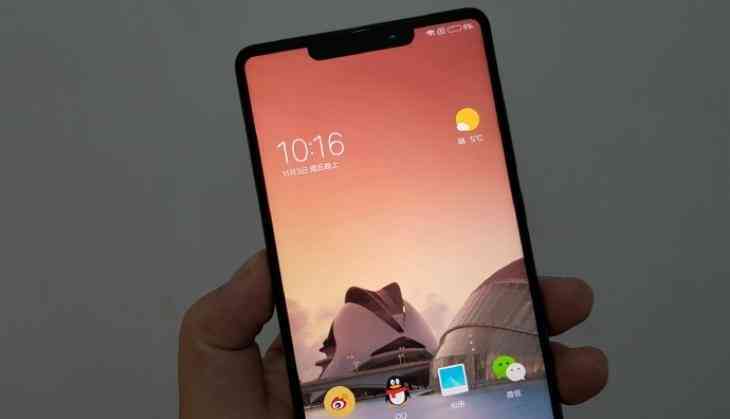 Now, as seen in leaked images, Xiaomi is working on its third-generation flagship device. The only difference this time is that it is not leading from the front but copying others. 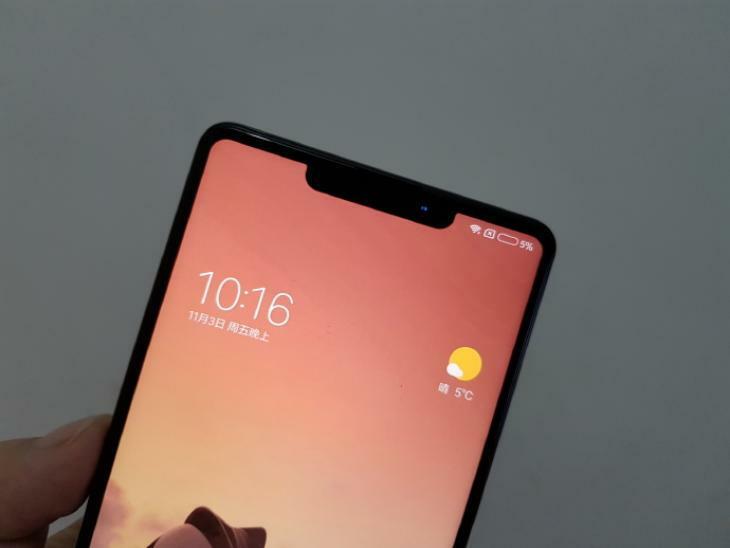 If the new image is real, and not one of those fake images, then Xiaomi will be including an iPhone X-like notch on its next smartphone, Mi Mix 2s. Weibo, China's Twitter equivalent, has images of the upcoming successor to the Mi Mix 2. 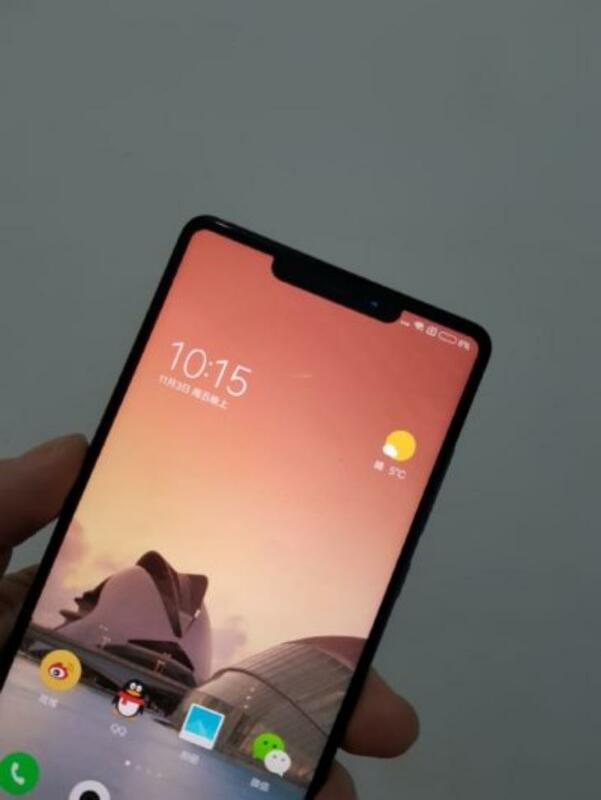 The images show off the device, in the wild, showing a clear notch at the top of the handset. It seems to retain exactly the same design as the recently released Mi Mix 2. The one major difference, however, is that the notch will house the sensors, earpiece, and front camera. The Mi Mix 2 housed the camera at the bottom of the handset. Furthermore, with the move of the camera, the bottom bezel should, in all likelihood, be trimmed. The pictures don't include the bottom of the smartphone and neither do they show off the back. One thing is for sure is that the Mi Mix 2s, as shown in the leaked images, is running Xiaomi's own custom UI, MIUI. Given that this is the Mi Mix 2s and not the Mi Mix 3, we are more likely than not to see the phone in the next few months. Leaks also will be coming in droves in the coming weeks. The source didn't leak any of the specifications though but it will ship with the latest processor and lots of RAM. It will also ship with MIUI 9, which just got a global rollout last week. At the moment, Android apps don't support the notch, and hence Xiaomi will have to convince some developers to make apps that agree with the new look design.